areas of the NMFW team. They will also be available for autographs and photos so be sure to bring your camera! 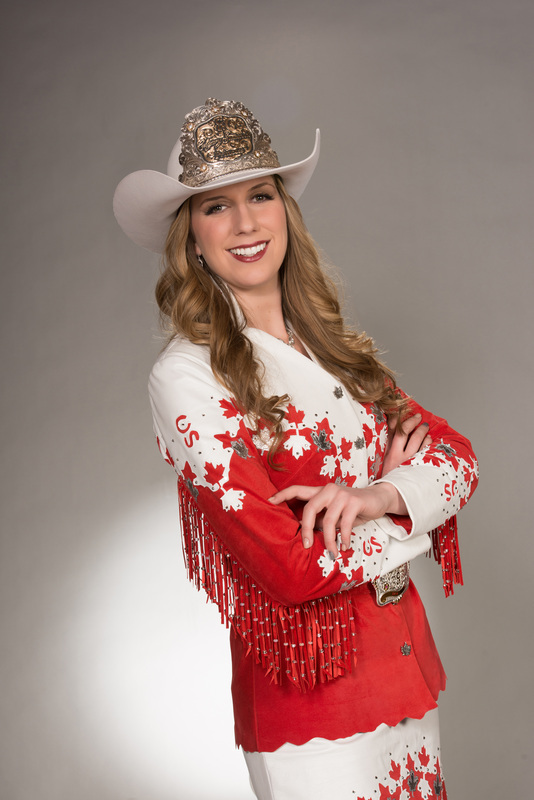 Welcoming the ladies of Calgary Stampede will be our very own Miss Rodeo New Mexico 2014, Alexandria (Alex) Tapia. Alexandria (Alex) Layne Tapia comes from the nation’s oldest capital city – Santa Fe, New Mexico. She is the daughter of Toni Tapia and the late Michael J. Tapia Sr., and has one older brother named Greg. Alex is a Crimson Scholar graduate of New Mexico State University where she earned a bachelor’s degree in Government and a bachelor’s degree in History with Distinction in University Honors. She currently works as a Research Assistant at New Mexico’s Legislative Council Service. Her family is very important to her and they work closely together to run their family owned business. As a family, Alex enjoys going to church, hunting, and raising animals. Alex loves two-stepping to great county music, cooking, baking and catching up on the most recent popular novels and classic literature. Alex is a member of Toastmasters International and is active with her local PRCA rodeo, the Rodeo de Santa Fe. One of her biggest passions in life is learning. Alex loves to learn new things, from academic study and history to new hobbies and odd facts. Spending time with others and meeting new people is one source of her happiness. Alex has been riding horses the majority of her life and enjoys trail riding, barrel racing and competing in rodeo queen pageants. She is proud to have had the opportunity to represent her community and rodeo through various royalty titles since she was fifteen. Alex truly enjoys the ability to mentor young people through the medium of rodeo royalty titles and hopes to continue to be a role model and example to others. Her goal during her reign is to share the excitement and tradition of rodeo with the next generation of fans. As a lifelong New Mexican, Alex believes there are many state treasures and multifaceted rich cultural heritage that is worth sharing with others. It has been an ongoing dream of hers to serve as an ambassador of the Land of Enchantment, the sport of rodeo and the western way of life. 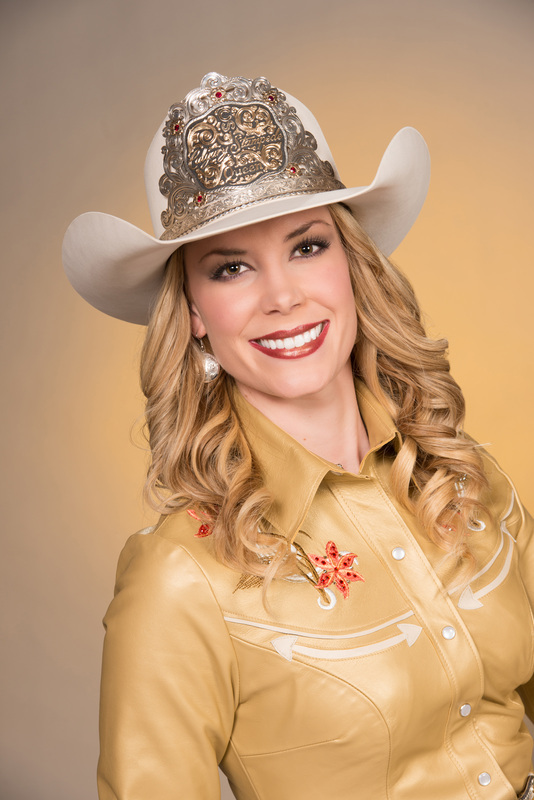 Alex is very proud and excited to be representing her home state as New Mexico’s First Lady of Rodeo. Growing up “cowgirl tough” and born into the ranching way of life has enabled her to lead a very diverse life. Working with horses and cattle comes naturally, just as easily as fitting in at a high fashion editorial shoot or on a film set. Her desire is to work on positive, family oriented projects, conveying an inspirational message along the way. A native New Mexican, she now resides on a portion of the “Red River” ranch in the Stanfield, AZ area - once owned by legendary movie star, John Wayne. She is intricately involved in the community, not only the local community, but also the western community, which knows no borders. She keeps our western heritage alive to pass on to the next generation. On any given day you may find her working with horses, teaching youngsters the way of the cowboy, or see her portraying it in print and on screen. A fifth generation Wyoming native, born and raised on a registered Charolais operation on the Wind River Indian Reservation, Thea Marx has a passion for the West. With a business management and marketing background, Thea was hired in 1997 as executive director of the Western Design Conference in Cody, Wyoming. From that point on, she embarked on transforming the show into an internationally-recognized source of fine western design. As a result, she found within her a passion for design of all things western, devoting all her energy to working with the craftspeople, designers and artists. She continues to promote the genre to the public through, her book, Contemporary Western Design, High Style Furniture and Interiors as well as lectures and numerous magazine articles. In 2010 she won a place in British Airways Face of Opportunity Contest and secured a meeting with Harrods in London to explore marketing possibilities for contemporary Western furniture. She worked with Stetson Worldwide to develop the Stetson Craftsman Alliance which promotes high end western craft to their world wide audience. She continues scouting artists and advising Stetson as they move forward with the program. Marx wrote the blog for Justin Boot Company about her alter ego, Annie Justin, a business woman, and mom who lives on a ranch. Her tales are those of true events that are both hilarious and touching. She also served as an advisor to Justin Boot Company on western products and on Western Horseman’s Cowboy Culture Advisory Board. Through The Marx Agency, Thea represented a small group of talented artists and craftspeople, placing them in licensing deals and in mass market situations such as mail order catalogs or large retail venues. On the side, Thea is called in to help businesses re-structure for success in their marketing and public relations as well as basic business practices. At the moment, she is working in Wyoming’s hospitality industry. 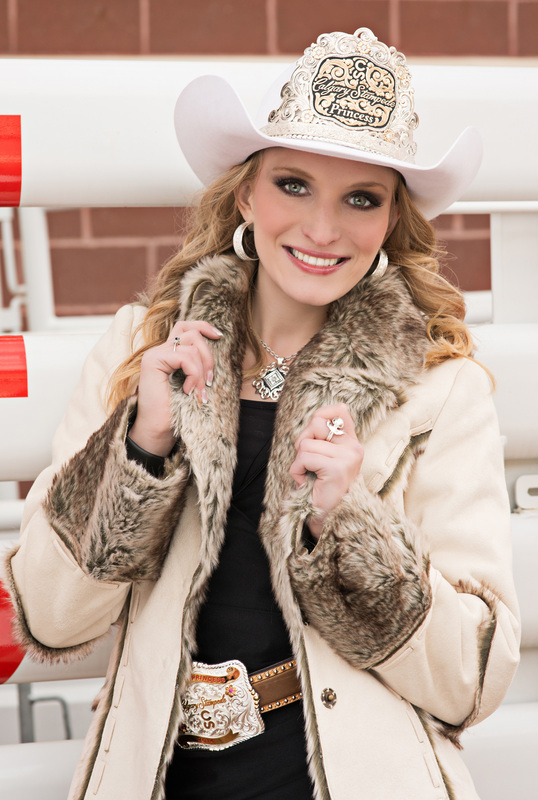 She also works as a sales consultant for American Paint Horse Association’s member magazine Chrome. Thea and her family reside in Cody, Wyoming where the land and people continue to inspire her everyday. Ashlee Rose Mills is the daughter of Lee and Jackie Mills of Eagle Nest New Mexico. She and her younger sister, Janna, are the fourth generation to grow up in the Moreno Valley. Ashlee Rose will graduate from the University of New Mexico with a Bachelors degree in Criminology and a minor in psychology. She plans to attend law school, focusing on criminal law, and aims to one day become the Attorney General for the State of New Mexico. This goal is rooted in her desire to make a positive difference for victims of domestic violence, with emphasis on children and young adults. We congratulate Ashlee Rose for being voted "Miss Congeniality" at the Miss Rodeo America 2014 Pageant! Janna E. Mills was raised in Eagle Nest, New Mexico. Since she was three years old she was riding her horse and keeping up with her older sister, Ashlee Rose. Janna will be attending the University of New Mexico in the fall of 2014 where she plans on majoring in Education and getting a minor in psychology. Janna competed at the New Mexico State Fair where she placed first attendant, she is a personal assistant to three different teachers, received the New Mexico Leadership Institute Scholarship, is organizing the first ever special needs rodeo to be held in Colfax County, National Little Britches Rodeo member, National Little Britches Rodeo Finals qualifier, barrel racer, rides horses on a breeding facility, gives riding lessons at the Eagle Nest Barn Program, riding instructor at a riding camp, works on High Praise Ranch, and also the organizer for the Baccalaureate ceremony for the graduation class of 2014. Janna is currently the Colfax County Fair and Rodeo Queen. She loves New Mexico and would not call any other place home. The 20-year-old Criminal Justice student at SFCC is fluent in English and Spanish. Her career plans are to be a U.S. Marshall at the age of 21. Her special talent is singing and gymnastics. Michelle Parra is proud of her Mexican heritage and she is currently visiting local high schools to let the students know how important it is to attend college for a successful future and a better job opportunities. Michelle Parra is “More Than a Model a Role Model”. Alejandra Castillo, 17 year old, from Albuquerque, New Mexico was crowned Miss Teen New Mexico Latina 2013 on June 28th in Albuquerque, NM. She is studying at Atrisco Heritage High school. Her goal is to be a nurse assistant and a model. She speaks English and Spanish and her talent is modeling. She has participated in many fashion shows, community events and more. She knows how important it is to attend college for a successful future and better job opportunities and she wants to be “More Than a Model a Role Model” for her community. Ashley Alyssa Fresquez is from Albuquerque, New Mexico. She was crowned Miss Santa Fe on March 28, 2014. Ashley is honored to be representing Santa Fe. She will representing our state’s capital, on June 28th at the Miss New Mexico Pageant, which will be held at The Spencer Theater in beautiful Alto, New Mexico. The winner of the Miss New Mexico Pageant will go on to represent Miss New Mexico at the Miss America Pageant. Ashley is 19 years old and is a sophomore at the University of New Mexico. Her platform is Heart-to Heart—Striving for Success. Ashley was Miss New Mexico’s Outstanding Teen in 2009. She keeps busy with volunteering in her community, staying active, and spending time with her family. As a native New Mexican Ashley treasures the diversity and culture that The Land of Enchantment has to offer.